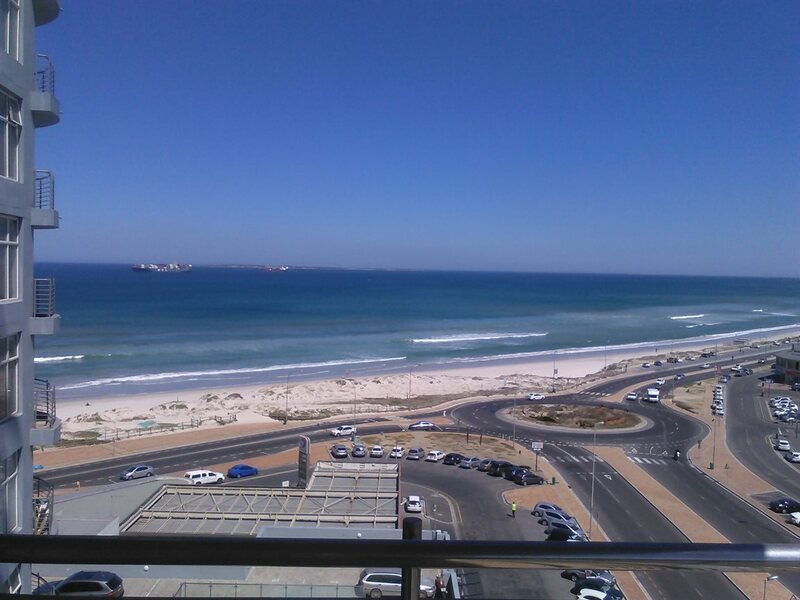 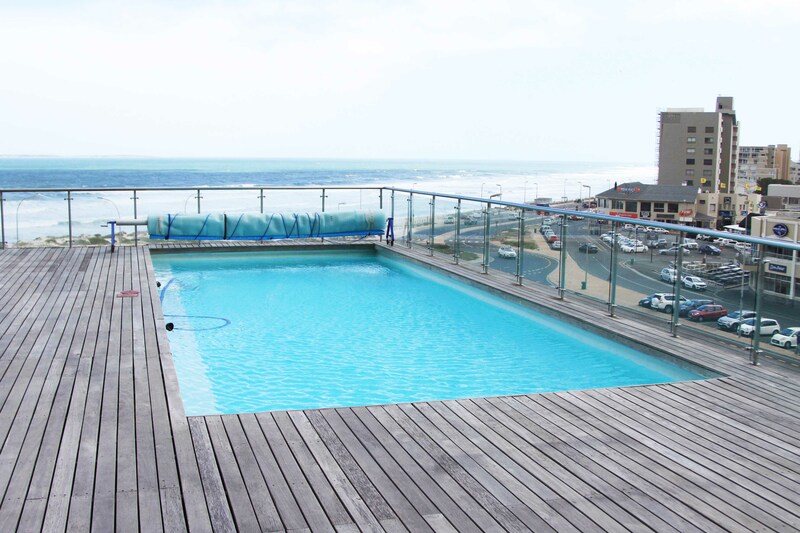 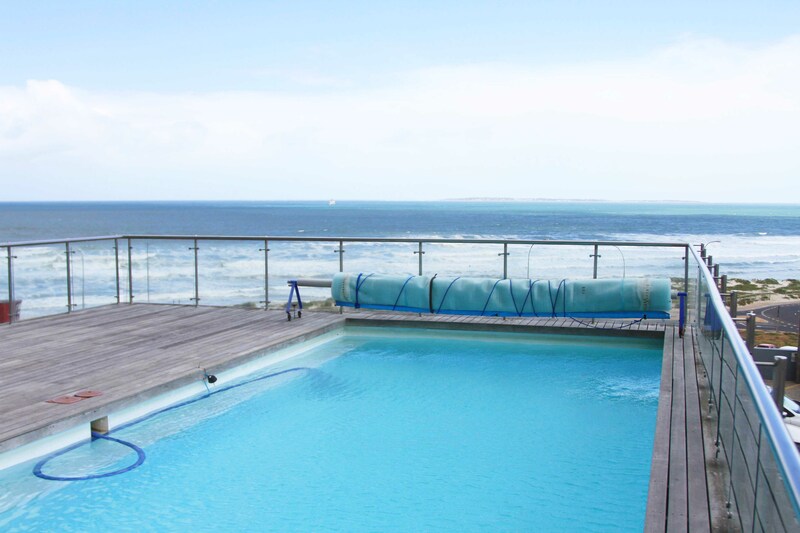 This North faced apartment has the perfect orientation for a beachfront apartment in Blouberg. 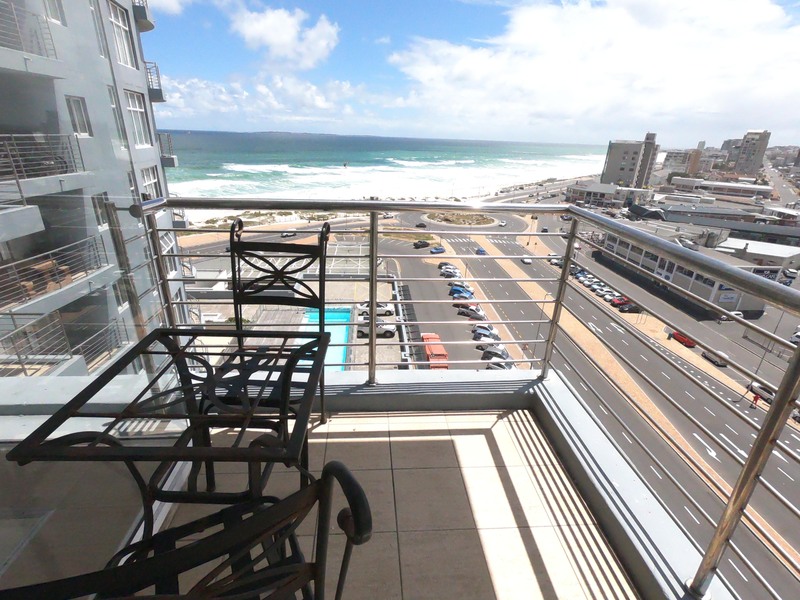 It takes in sunlight practically the whole day and is sheltered from the South Easter. 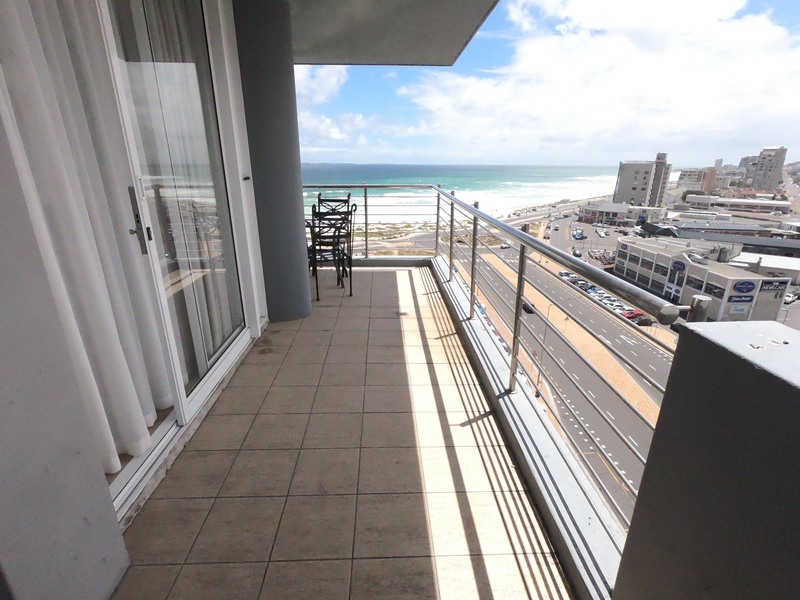 This two bedroom apartment has one of the best views as you just have to look down to see if it’s already windy enough. 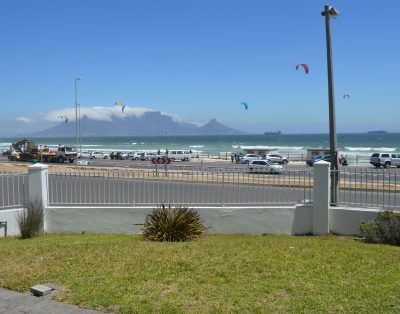 The popular Blouberg beach or Kitebeach is only a 50m walk away where you can surf or kite with Robben Island in the background. 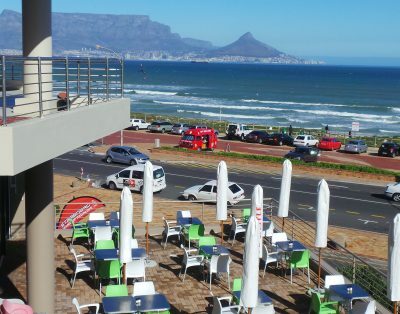 If not windy you can relax at the pool or enjoy the many bars and restaurants just across the street. 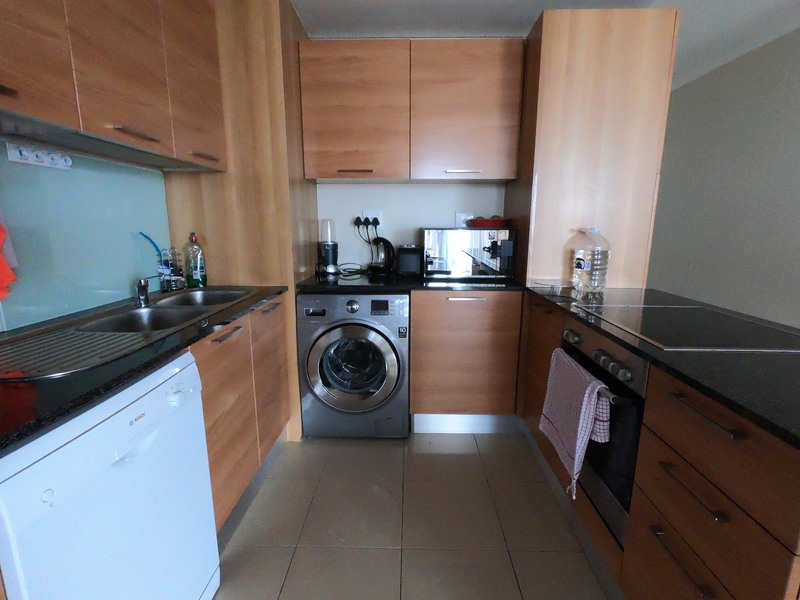 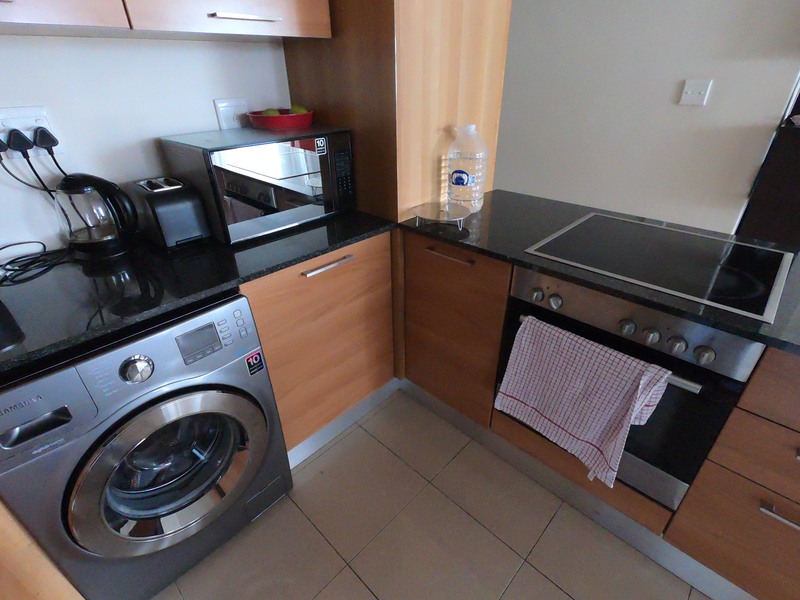 This apartment is fully equipped with a TV , dishwasher and a washing machine. 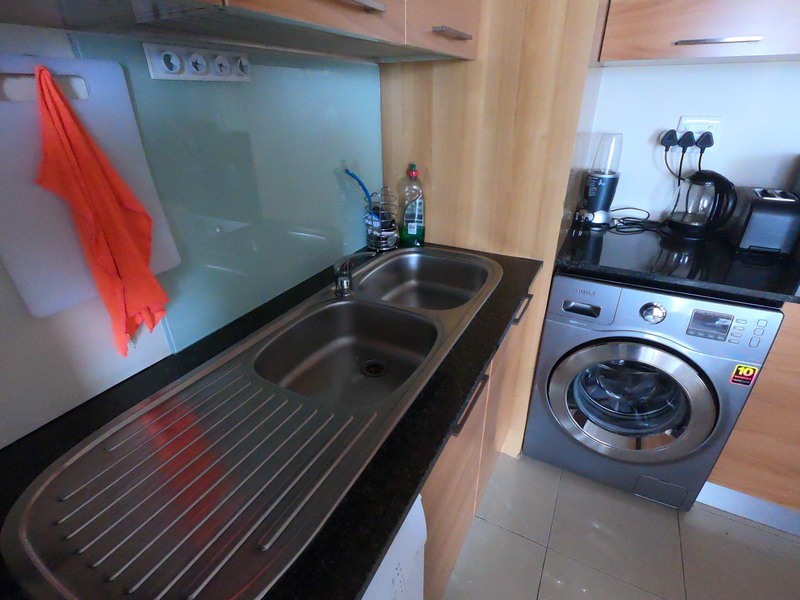 The kitchen also is fully equipped. 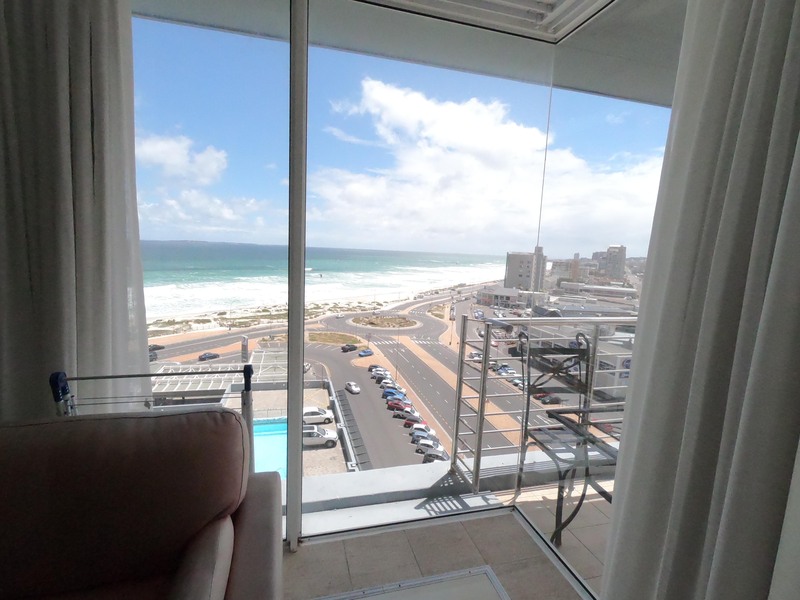 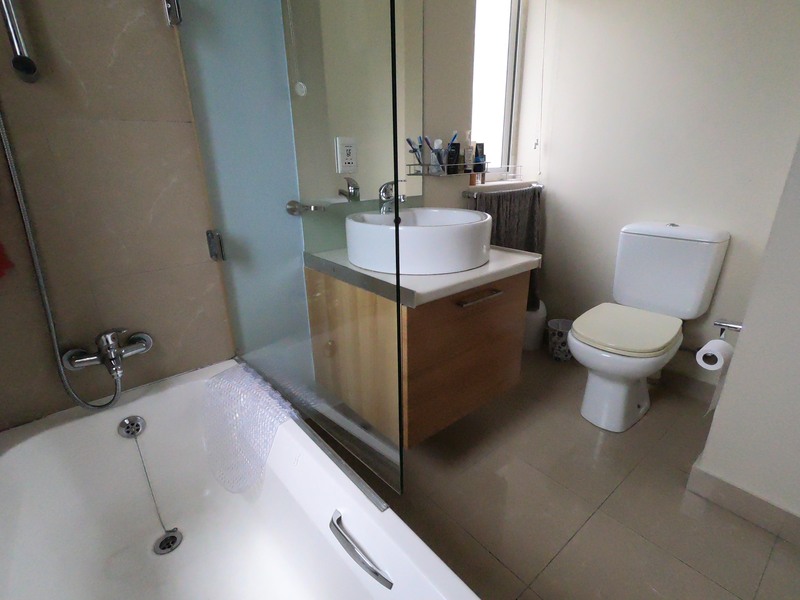 The en-suite master bedroom has sea view and the second bedroom has a view over Blouberg and has a bathroom too, but not en-suite. 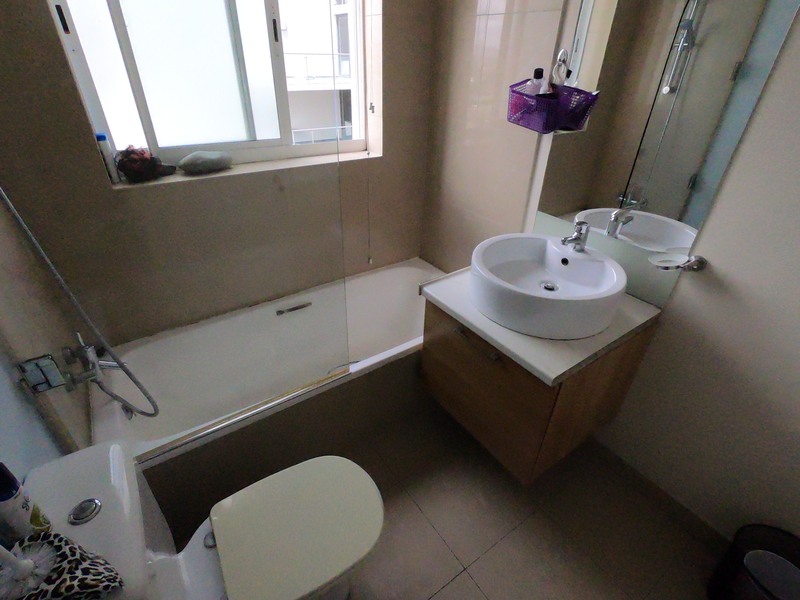 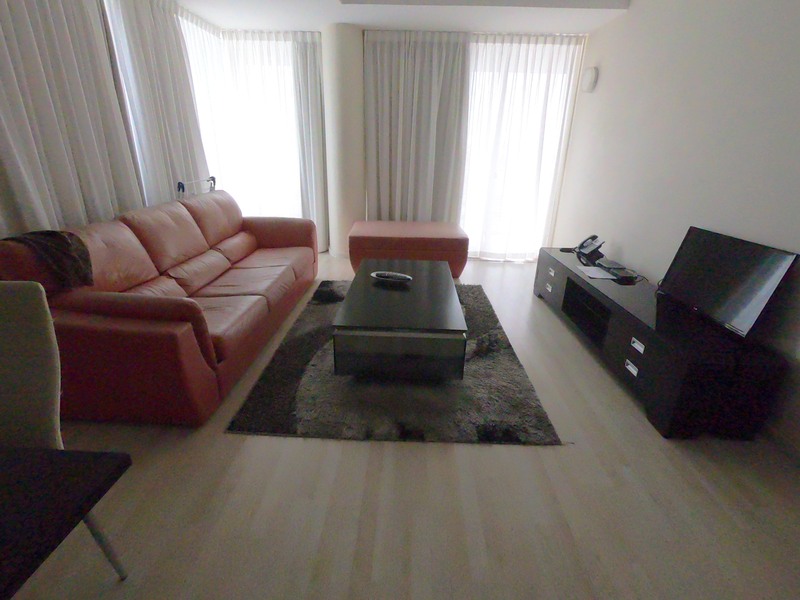 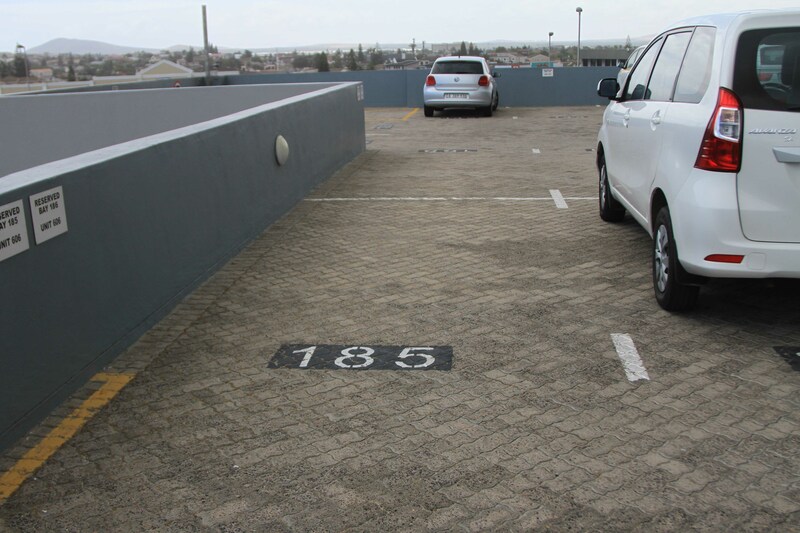 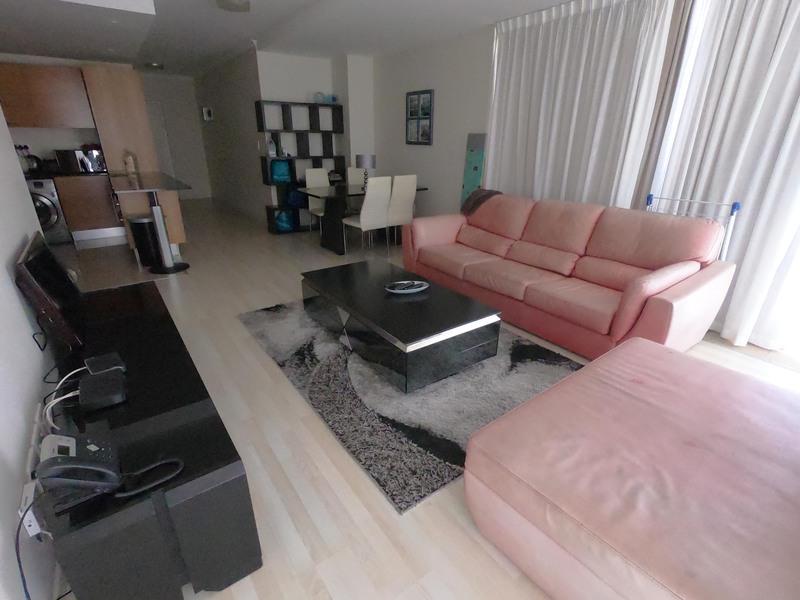 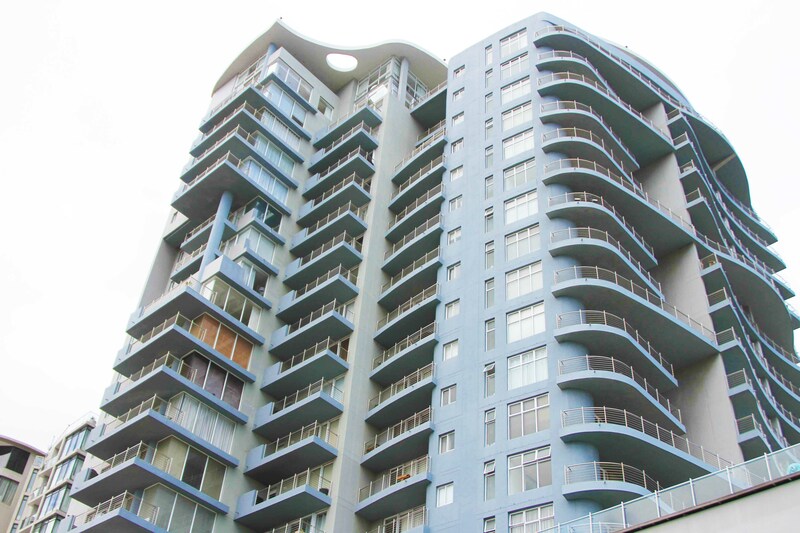 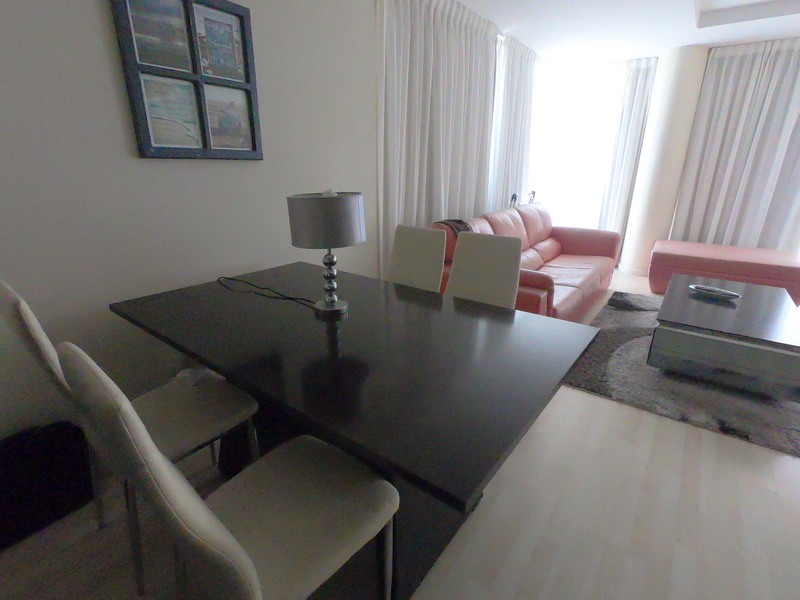 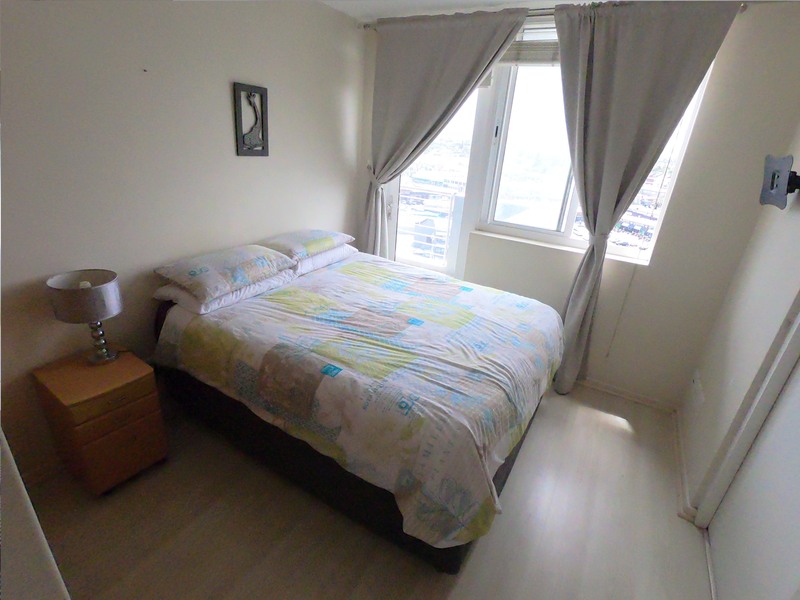 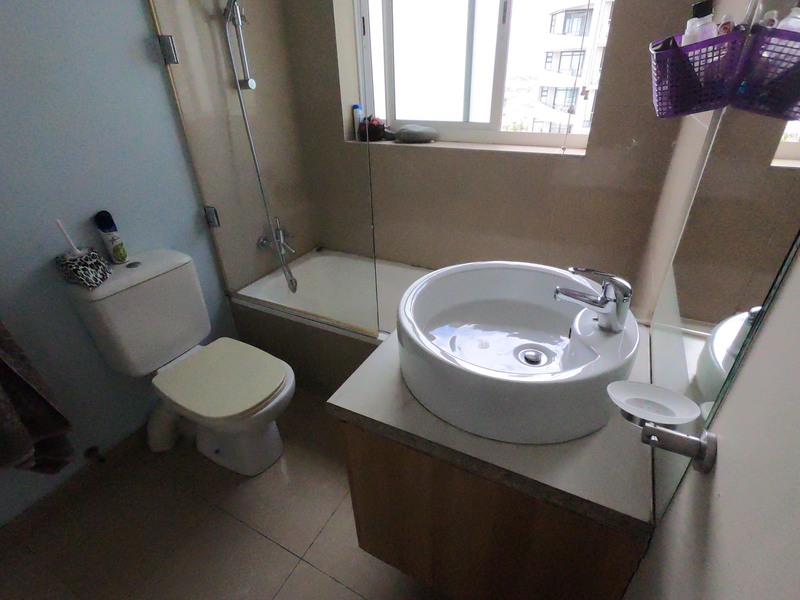 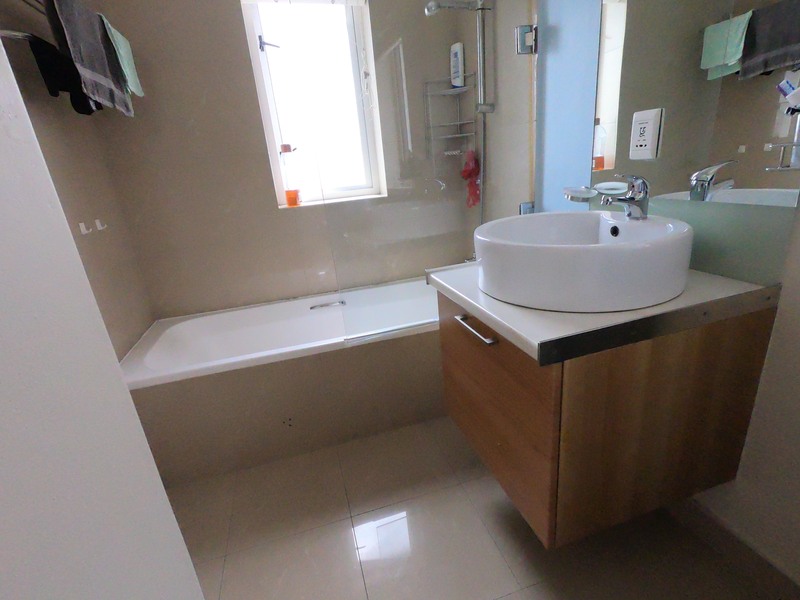 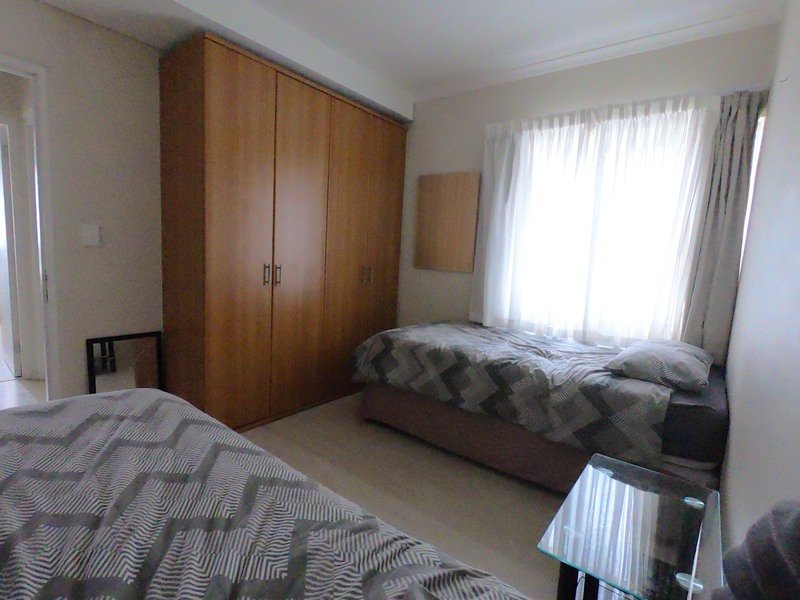 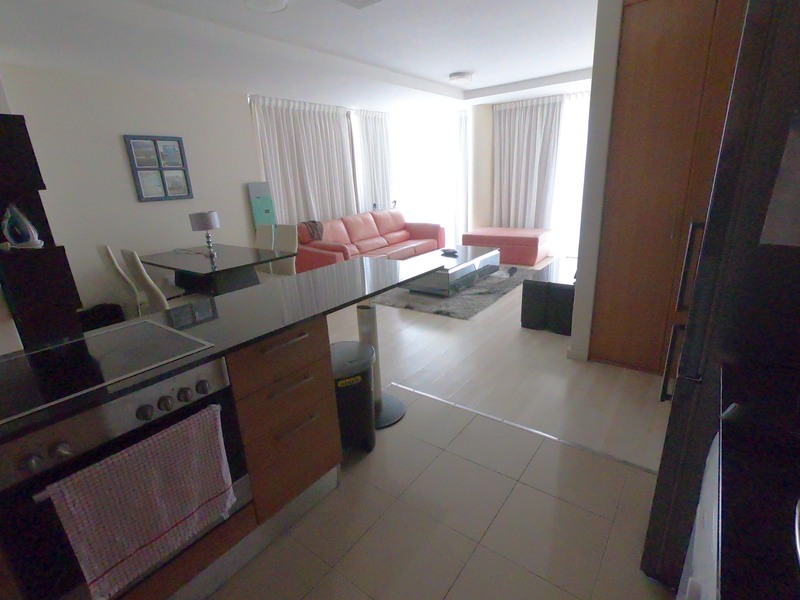 The apartment has 2 covered parking bays and the building has a concierge with 24/7 security.